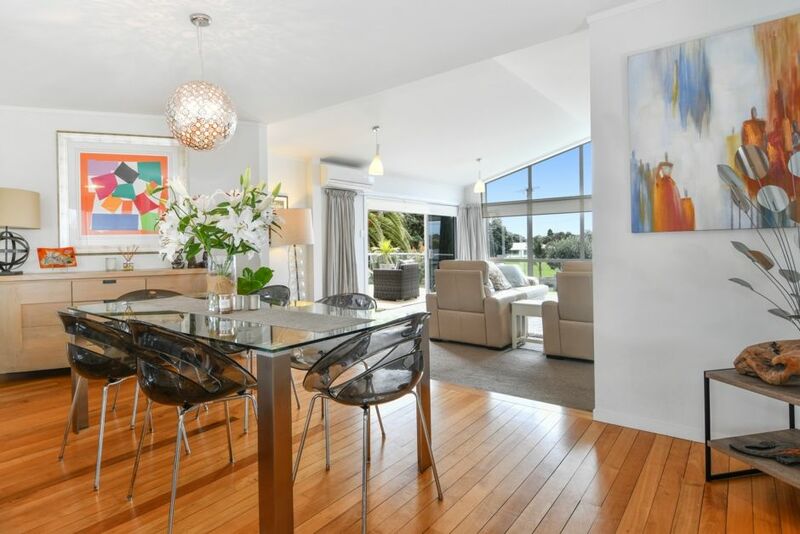 Located in the heart of Mount Maunganui and only footsteps to the golden sandy beach, this beautifully renovated, stunning family home is perfect for sitting back , relaxing and enjoying everything the Mount has to offer. A short stroll will take you to the award winning Tay Street Cafe and the Tay Street dairy (best ice-creams!). Several more restaurants/cafes and the supermarket are all within easy walking distance. And when you tire of swimming and eating, relax on the sun drenched North facing deck, sip on a wine and watch the kids playing on the lawn or on the large playing field across the road. In the evenings enjoy a BBQ with friends and family on the shaded outdoor entertaining area. This modern house is furnished to a high-standard, with all the mod cons you don't want to miss when you are on holiday! Teenagers and young children will enjoy the large downstairs room with TV, games and Xbox. And if all that's not enough there's the beautiful boutiques and shops in the Mount Village only 15 minutes walk away, the skate park just around the corner and golf clubs mere minutes drive... something for everyone! No teenage groups or large party groups. Smoking allowed outside only and pets allowed with prior approval. Families preferred. Bond required. Note: This is our family home so for shorter stays the kids may leave their clothes/toys in the drawers but there are plenty of shelves and hanging in the built in wardrobes. The Faile home is well appointed and beautifully presented. Beautiful home, great location - home away from home. Beautiful home, great location - home away from home. Enjoyed our stay. Highly recommended.